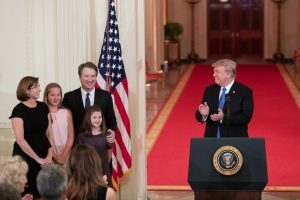 Here’s a little background on Judge Kavanaugh’s judicial philosophy. Yesterday the U.S. Senate confirmed judicial nominee Steve Grasz. 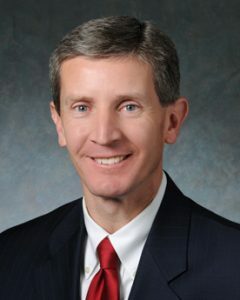 Mr. Grasz is a Nebraska attorney President Trump nominated to fill a vacancy on the Eighth Circuit Court of Appeals last August. In November, a committee from the American Bar Association labeled Mr. Grasz unqualified to serve as a judge because of his pro-life work as an attorney. No one should be barred from public service for being pro-life. While it is impossible to know for sure, Mr. Grasz’s track record working for the Nebraska Attorney General’s office leads us to believe he will make an excellent federal judge. During his time with the A.G.’s office, Mr. Grasz helped defend Nebraska’s pro-life law banning partial-birth abortions before the U.S. Supreme Court. Although the court ultimately struck down the law in Stenberg v. Carhart, the ruling paved the way for a federal law banning partial-birth abortion; that law was upheld in Gonzalez v. Carhart. In 1999 Mr. Grasz helped file an amicus brief in support of Texas public schools after a lower court ruled student-led prayer at public school sporting events was unconstitutional. As a justice in the Eighth Circuit Court of Appeals, Mr. Grasz will help preside over cases affecting Arkansas — including, possibly, some of Arkansas’ pro-life cases that are currently pending in federal court.